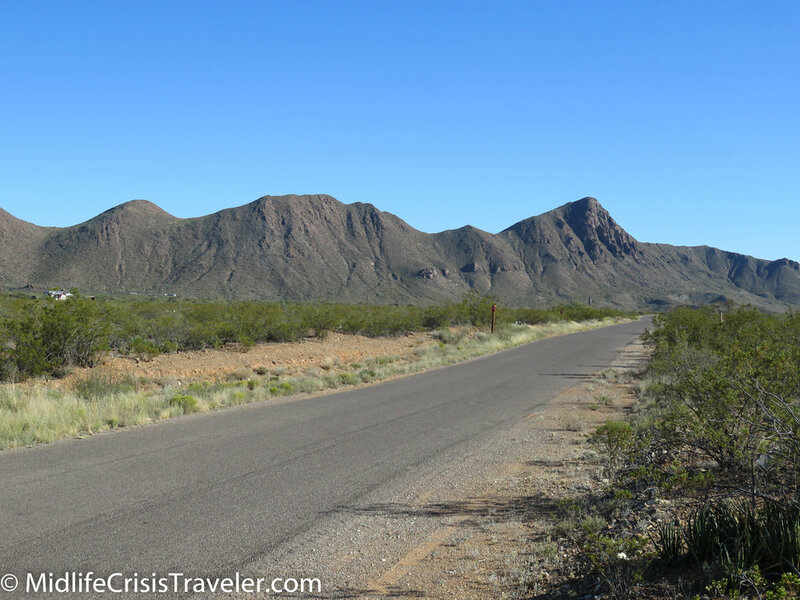 In preparing for my journey to Big Bend National Park, I spent considerable time trying to figure out where I should stay. The park is huge at 801,163 acres so I knew I would need at least 2 days to cover the major hotspots. A quick search on Priceline returned 14 results, 11 of which are 70 miles away in either Alpine or Marathon, TX. The other 3 choices are: a ranch about 40 miles outside the park; a golf resort and spa charging $175/night; and the Chisos Mountain Lodge which is $160/night. Those choices didn’t appeal to me so I decided to see what Air BnB offered. The array of hospitable choices was very limited. 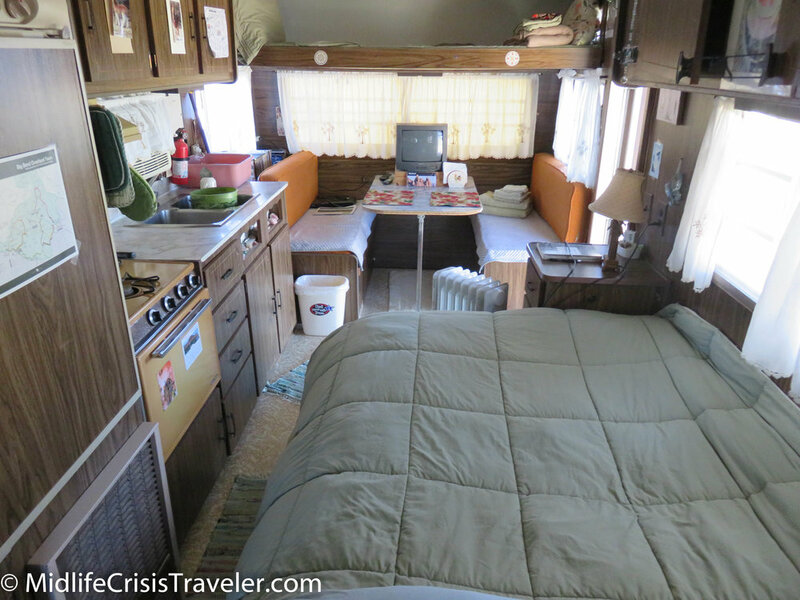 It spanned the typical tent space for $20-40/night, to broken down buses and 60’s and 70’s style pull campers which had zero style upgrades. I went with the Lil Hobo pull camper for $60/night. The space also afforded a fire pit, an outdoor shower and a toilet where you weren’t supposed to flush the toilet paper. I tell no lies here. I slept here, but did not shower here since I normally left early in the morning before the water would have been warm and returned in the evening when it would have been cold. Timmmaaayyy can’t do cold showers. I’m a princess like that. I could have used the ranch showers a couple miles up the road but I was gone before they opened up in the morning. 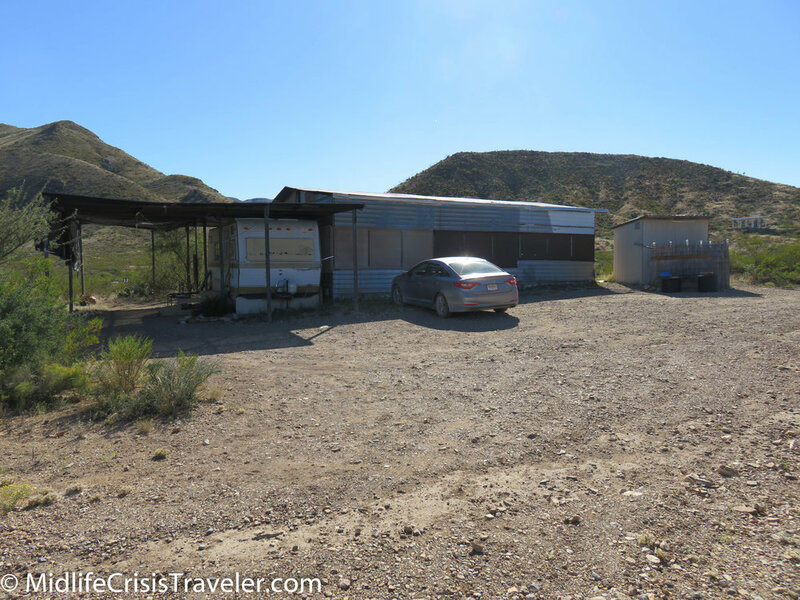 The Lil Hobo is located about 40 miles from the entrance of the park off Terlingua Ranch Road. It is about 20 miles east of Route 118. The road is paved for about 12 miles, then dirt for 4 miles, then off-road for 4 miles. My advice would be to have a high-center vehicle if you are going to stay way out in the wild like this. This is a great place to watch the sun rise or set and stargazing. There’s nothing out there except residences that are about a mile apart. If you want to get away from humanity, this is the place to be. There are more than a few survivalists with their guns and Don’t Tread on Me Flags. Make sure that you bring plenty of supplies with you because your food choices are very limited. 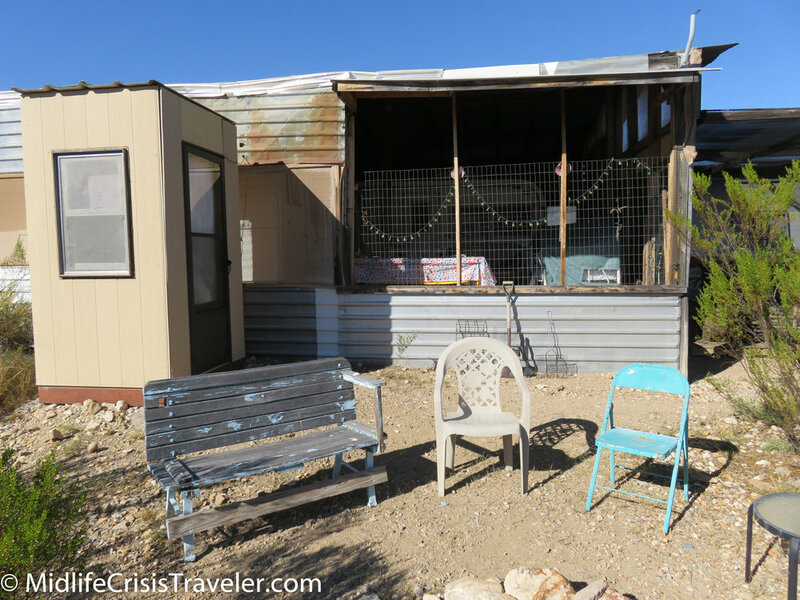 You can eat at the lodge in the park or at a couple of restaurants in Terlingua which is a small town just outside the park. Other than that, your nearest Walmart is in Alpine—70+ miles away. 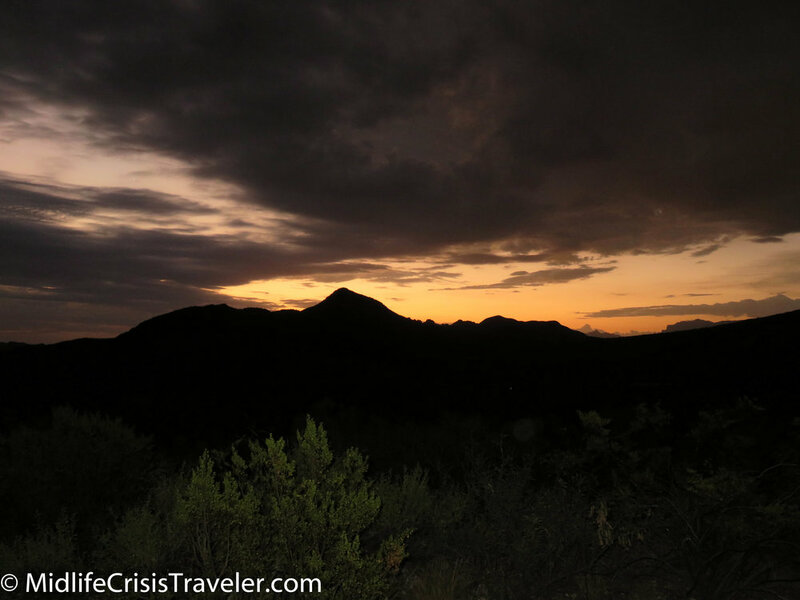 My recommendation would be, if you don’t mind paying $150-200/night at the Chisos Mountain Lodge then go for it. 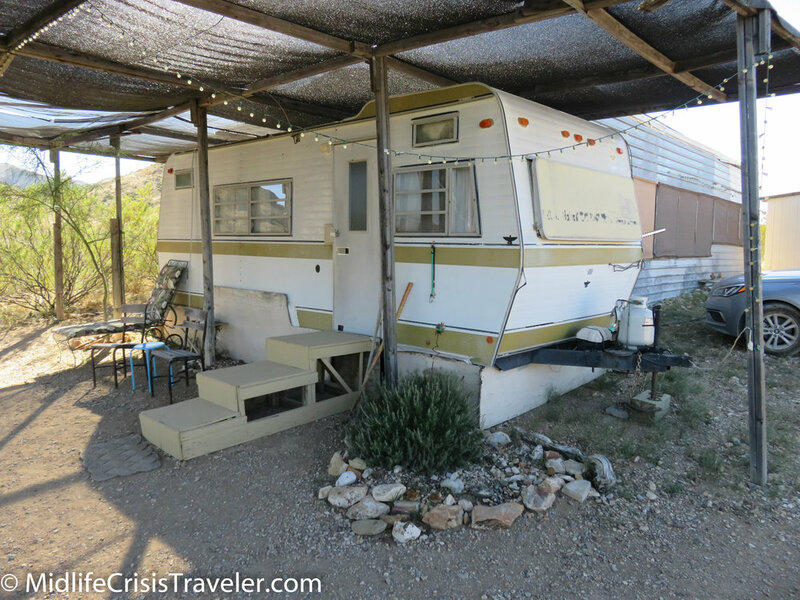 If you are cost conscious then look at some of the other choices in the Terlingua area. 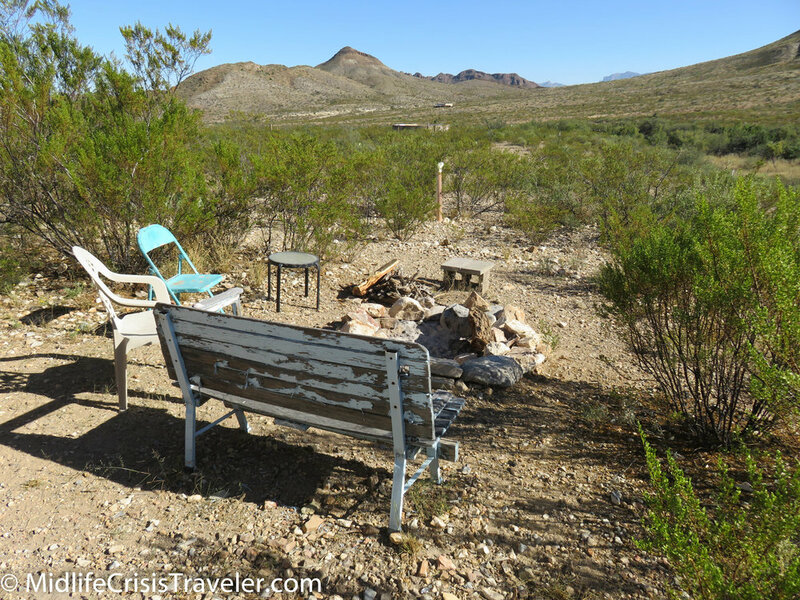 If you want to get away from it all then look at the area north of Terlingua on AirBnB. Places like the Lil Hobo have tons of character and you will appreciate them if you like roughing it more than me. 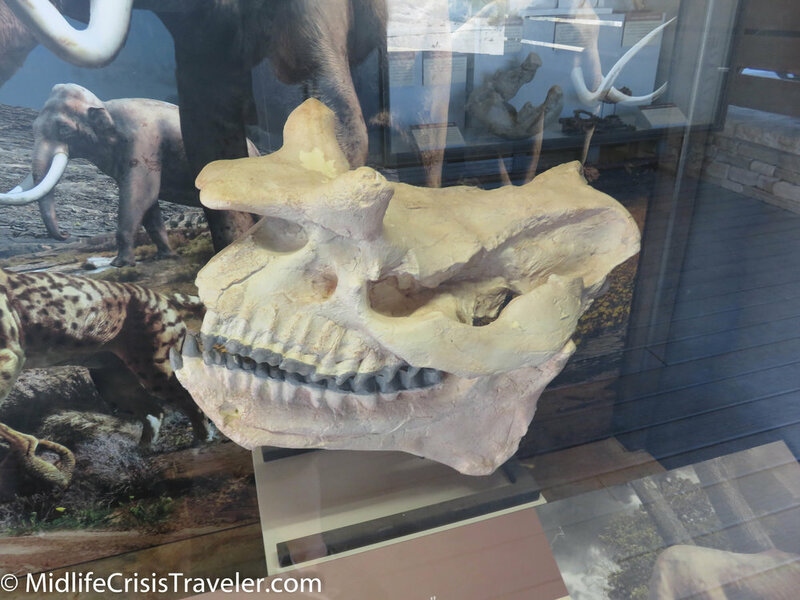 Just off the Main Park Road in the north central area of the park is the Fossil Discovery Exhibit. It gives a detailed history of the area and how it was under water 90 million years ago. Huge fish, dinosaurs and flying creatures all lived in the area and are featured in the exhibit. 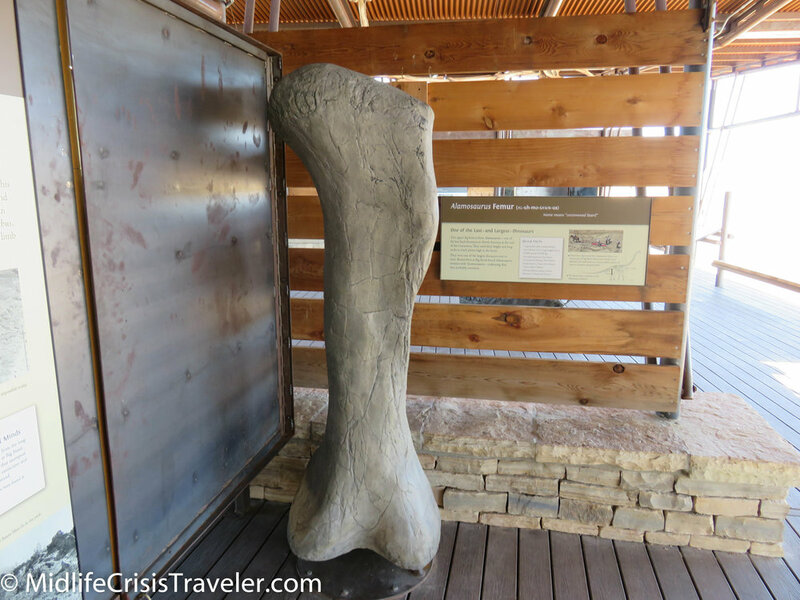 The Alamosaurus Femur pictured here is 6 feet tall. 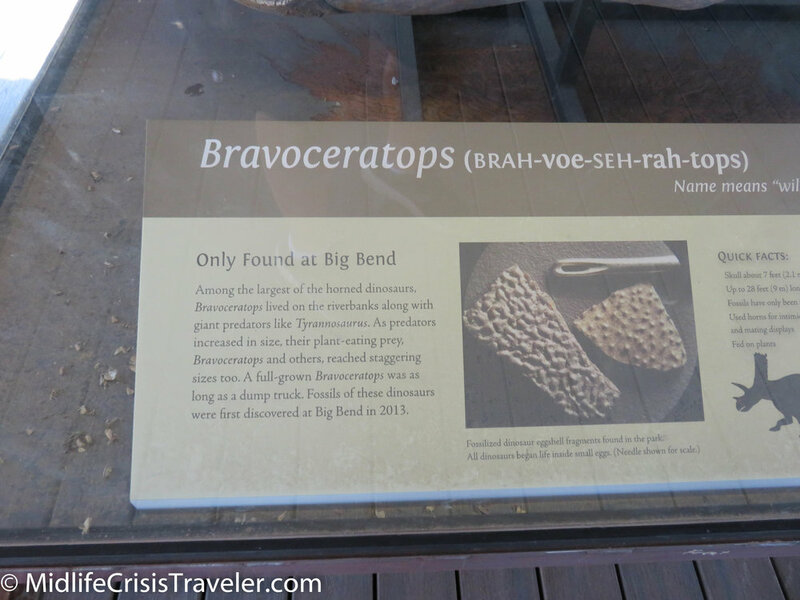 For anyone who is fascinated by history or dinosaurs, this is a must-see exhibit. 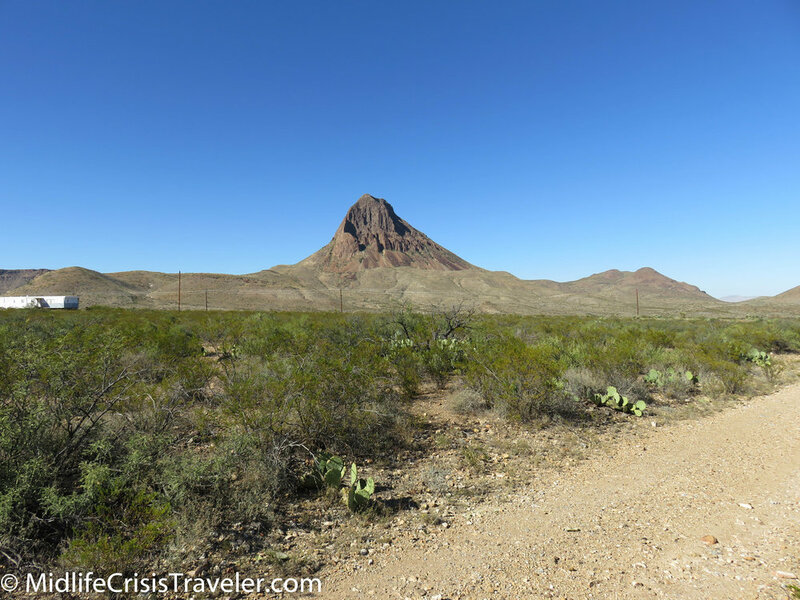 Have you visited Big Bend National Park? What was your experience like? 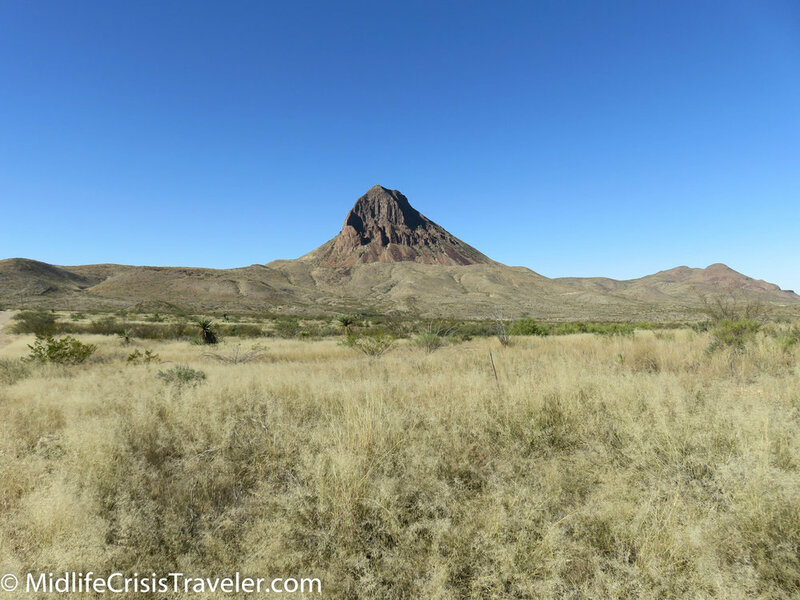 Click the link for more information about Big Bend.